Here is a look at the life and legacy of an irrepressible innovator. Pushing against both social convention and technological boundaries, L.L. Nunn left enduring marks on economic and social history, labor development, and, educational reform. 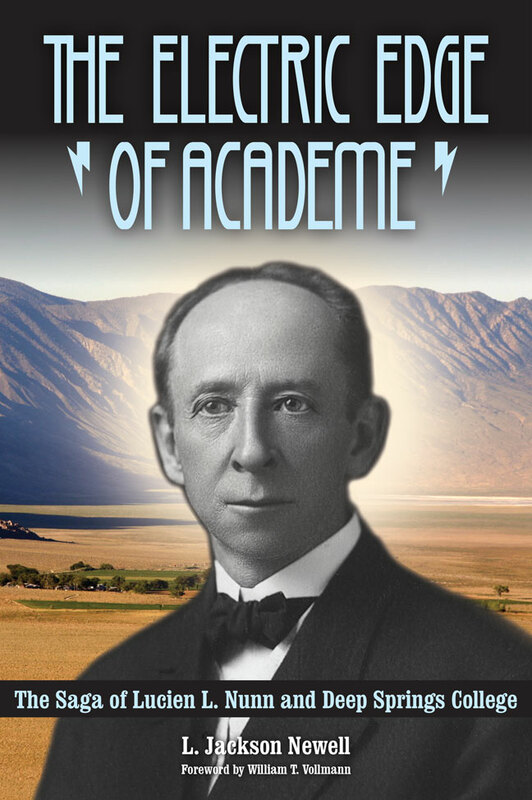 The Electric Edge of Academe is a bold portrayal of this progressive-era hydroelectric power magnate who, driven by a dynamic conscience, also became a force for social change and educational experimentation. In 1891, Nunn, working with Tesla and Westinghouse, pioneered the world’s first commercial production of high-tension alternating current (AC) for long-distance transmission—something Thomas Edison deemed dangerous and irresponsible. After creating the Telluride Power Company, Nunn constructed the state-of-the-art Olmsted Power Plant in Provo Canyon and the Ontario Power Works at Niagara Falls. To support this new technology, he developed an imaginative model of industrial training that became so compelling that he ultimately abandoned his entrepreneurial career to devote his wealth and talents to experimenting with a new model of liberal education. In 1917, Nunn founded Deep Springs College in eastern California. The school remains one of the most daring, progressive, and selective institutions of higher learning in America. Newell examines how Nunn’s radical educational ideas have survived internal and external challenges for nearly a century and explores their relevance today. L. Jackson Newell is Professor Emeritus of Educational Leadership at the University of Utah, where he was also dean of liberal education for sixteen years. He served as president of Deep Springs College from 1995 to 2004. His previous books include Maverick Colleges, Creating Distinctiveness: Lessons from Uncommon Colleges (with Barbara Townsend), and Matters of Conscience, a biography of Sterling M. McMurrin.